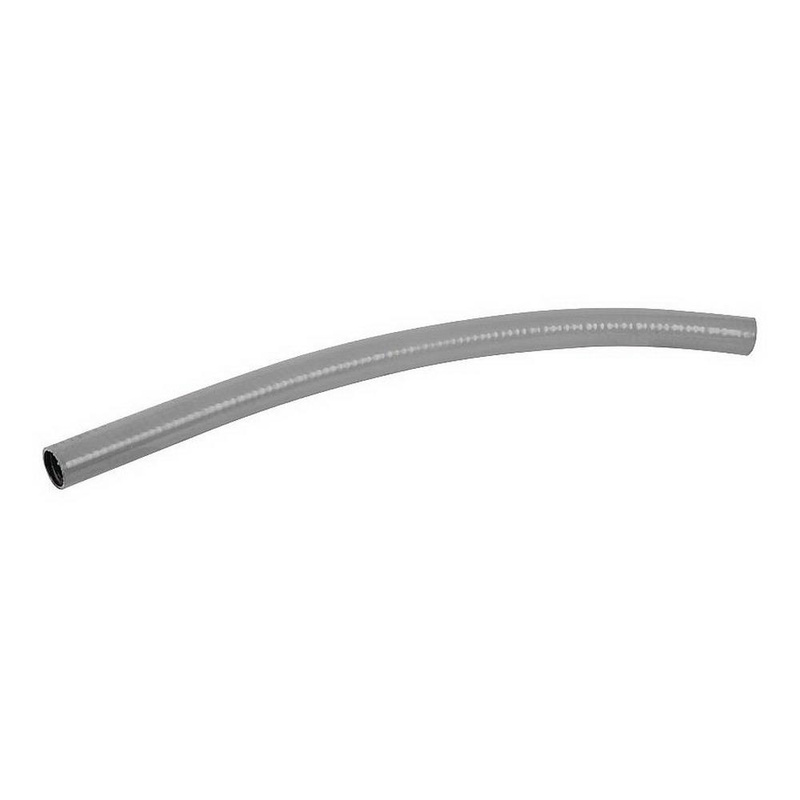 Calpipe Calbrite™ Flexible conduit of trade size 1-1/4-inches, features stainless steel construction with PVC coated jacket. This 25-ft conduit comes in coil. It has inside diameter of 1.330-inches, outside diameter of 1.66-inches and bend radius of 11-inches. This conduit is suitable for corrosive environments, including pumps, motors, HVAC systems, machine tools, electrical housings and cabinetry. It offers greater resistance to a wide range of corrosion, oils, greases and contaminants. Conduit is UL listed and meets NEMA standards.